Recently, numerous scholars have reviewed a large number of hospitality marketing research articles published top tier hospitality journals. Findings from these studies postulate that hospitality marketing research is overwhelmingly empirical in nature employing surveys as the main data collection tool and SEM/path analysis as the main analytical tool. This leads to a criticism for the discipline for over relying on a small set of quantitative methods which has the potential to inherent method bias that undermines the trustworthiness of findings. For instance, while SEM is a powerful analytical tool, it comes with various assumptions and considerations, which are often disregarded/ignored by the researchers. This workshop will highlight some very similar mistakes made by the researchers in hospitality marketing research and provide some feedback on the current research projects being undertaken by the participants. This workshop aims to clarify some of the misconceptions related to methodological issues such as sampling and data collection, reliability and validity of the measures and factor analysis. Dr. Faizan Ali received his PhD in Marketing with a dissertation written on customer experience in the hospitality industry at the International Business School, Universiti Teknologi Malaysia (UTM-IBS) in June 2015. Dr. Ali also holds an undergraduate degree in Business Administration and Information Technology [BBA-IT (Hons)] with distinction from Institute of Management Sciences, University of Peshawar, Pakistan, and a Masters in Management with a dissertation on consumer behaviour in airline industry from Glyndwr University, United Kingdom. Dr. Ali’s research interests are in the areas of customer experience, service performance and quality, customer satisfaction and behaviour. Dr Ali is also enthusiastic about developing new scales and working on various methodological aspects of hospitality and tourism research. He has authored more than 40 international refereed journal articles and international conference papers. His recent research has been accepted and published in internationally-refereed journals such as The Journal of Hospitality, Leisure, Sport & Tourism Education, Journal of Destination Marketing & Management, Journal of Hospitality Marketing & Management, Journal of Travel and Tourism Marketing, Worldwide Hospitality and Tourism Themes, Journal of Quality Assurance in Hospitality & Tourism, International Journal of Hospitality and Event Management, International Journal of Quality and Reliability Management and other reputable hospitality and tourism and business journals. Dr. Ali is recipient of four “best paper” awards: one from Academy of Global Business Advancement at the 10th World Congress at Bangkok; second at the 2014 World Hospitality & Tourism Forum. Seoul, Republic of Korea; third at the 5th International Interdisciplinary Business-Economics Advancement Conference and fourth at the 2016 WDSI Annual Meeting, Las Vegas, USA. Dr. Ali is an active member of academic hospitality associations. Currently, he serves as the Coordinating Editor for International Journal of Hospitality Management and as an Assistant Editor for International Interdisciplinary Business Advancement (IIBA) Journal. He also serves on the editorial boards of various journals including Journal of Hotel and Tourism Management, Asia Pacific Journal of Innovation in Hospitality and Tourism Research, Journal of Marine Tourism and City University Research Journal. Dr. Ali is a trained expert in usage of various statistical tools such as Structural Equation Modelling (SEM) and Partial Least Squares (PLS-SEM). He has also conducted SEM and Business Research Methods related workshops in International Business School, University Teknologi Malaysia (IBS-UTM). 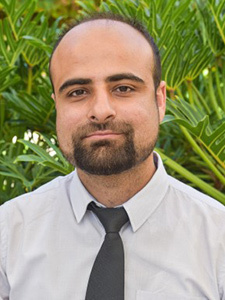 Prior to joining USFSM, Dr. Ali was a Post-doctoral researcher at the Dedman School of Hospitality, The College of Business, at Florida State University. Moreover, he has worked as a research consultant for two years on various hospitality and tourism related projects in Malaysia. His industry experience includes working at Liverpool Football Club in the UK. 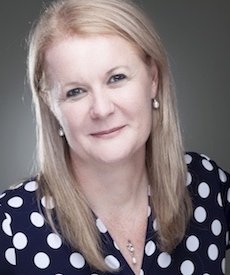 Moderator, Dr. Mathilda Van Niekerk, is an Associate Professor in the Tourism, Events and Attraction (TEA) Department at the Rosen College of Hospitality Management, University of Central Florida, USA. She has a PhD in Tourism Management and a Master’s in Business Administration (MBA). Her research areas include festivals and event management, tourism destination marketing and management and hospitality and strategic management. She has over 110 academic publications (refereed journal articles, books, book chapters, case studies, encyclopedia entries, training manuals, industry reports and conference papers). She has taught 33 postgraduate and undergraduate courses in tourism management, destination marketing, event marketing and event management. She received the 2015 University Excellence in Undergraduate Teaching Award from Rosen College. Dr. Van Niekerk serves on the editorial boards of several academic journals and is the Managing Editor for the International Journal of Contemporary Hospitality Management (IJCHM) and the Founding Co Editor-in-Chief of the Journal of Hospitality and Tourism Insights (JHTI). She received awards for Outstanding Editorial Support and Outstanding Reviewer from Emerald Publishing. She has been an invited speaker at various international conferences and as a visiting professor at Universities in Brazil, France, Hong Kong, Japan, Italy and South Africa. Before joining Rosen College, Dr. Van Niekerk held senior management positions at different institutions in both higher education and local government in South Africa. During the 2010 FIFA World Cup in South Africa, she served as the cluster leader in Nelspruit, one of the host cities responsible for marketing, communications, events and tourism. Recognizing her leadership and contribution to the 2010 FIFA World Cup in Nelspruit, South Africa, she received the Premier Protea Hotel Nelspruit/Lowveld Chamber of Business and Tourism – Tourism Personality of the year award. Her commitment and competence as an event organizer, visionary and leader are also evident in her success as an owner and director of a business enterprise in the private sector, for which she was named a national finalist for South Africa’s ABSA Business Woman of the Year award. Prof. Thomas Becker received his PhD from Ohio State University and currently teaches management courses to undergraduate and MBA students. He has received awards for excellence in teaching based on his core values of meaningful learning, rigorous standards, enthusiasm for the topic and genuine concern for students. His primary research interests are employee commitment and motivation, job performance and research methods and statistics. His work has appeared in top journals in the field, including the Academy of Management Journal, Academy of Management Review, Personnel Psychology, Journal of Management, Organizational Research Methods and the Journal of Applied Psychology. Dr. Becker serves on the editorial board of Organizational Behavior and Human Decision Processes and is a member of the Academy of Management, the Society for Industrial and Organizational Psychology and the Society for Human Resource Management. He has worked with prominent organizations to improve individual and organizational effectiveness, including Blue Cross Blue Shield, the Federal Bureau of Investigation, McDonald’s, Newport News Shipbuilding, Procter & Gamble, the US Army, and other healthcare, manufacturing and service organizations. Prof. Dimitrios Buhalis is Head of Department Tourism and Hospitality, Director of the eTourism Lab and Deputy Director of the International Centre for Tourism and Hospitality Research, at Bournemouth University in England. Dimitrios is researching, lecturing, advising and facilitating progress in organisations globally, whilst his books and publications are studied widely by both students and professionals around the world. He is frequently delivering keynote presentations, speeches, seminars and workshops in both academic and professional conferences globally. 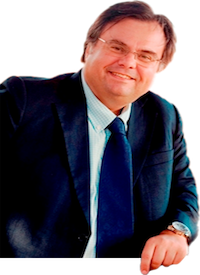 Here you will find information about his research activities as well as about his publications and events. You will also find information on a number of projects he is currently working on. This site complements his blog where he is writing his views and news, issues that occupy his mind and some best practice from the industry. The site also complements his social networking presence on his Facebook, LinkedIn, Academia.edu and Twitter pages where he engages with a wider audience and distributes news, photos, activities and publications. The site has a wealth of information about eTourism and Tourism and Travel Research in general. Hope you will enjoy and come back often for updates. 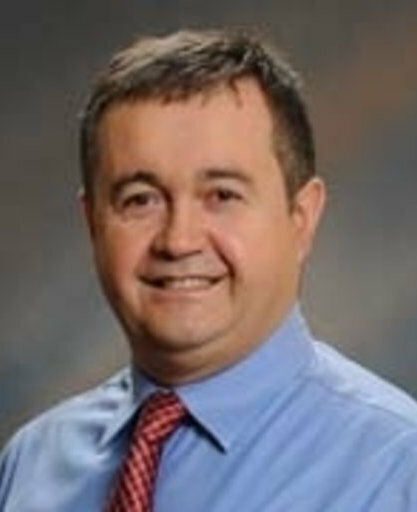 Prof. Fevzi Okumus is a Professor in the Hospitality Services Department at the University of Central Florida’s Rosen College of Hospitality Management. He received his Ph.D. in Strategic Hotel Management from Oxford Brookes University, UK. He has a Master of Science degree in International Hotel Management from Oxford Brookes University, UK and a Bachelor of Science degree in hospitality and tourism from Cukurova University, Turkey. He worked in the hotel industry before becoming an educator. 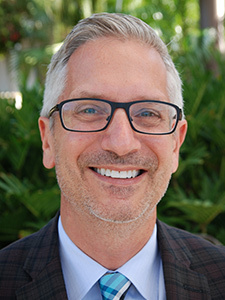 He joined the Rosen College of Hospitality Management in 2005 and was the founding Chair of the Hospitality Services Department from 2007-2013.